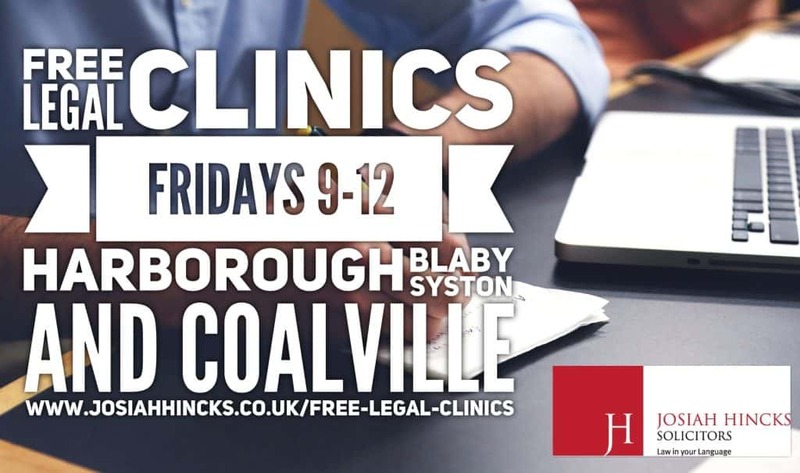 Josiah Hincks Solicitors are delighted to announce and extend our offering of completely free legal advice in our Free Legal Clinics, held in each of the firm’s five offices every Friday. You can get free initial advice on a wide range of legal matters, with the aim of signposting you to be able to take full bespoke advice if you need it, deal with the matter yourself or draw a line under the issue. Each pre-Bookable appointment will be for a maximum of 20 minutes. After that time, if you require more time you simply pay an agreed fixed sum and the meeting continues or gets rearranged depending on availability.